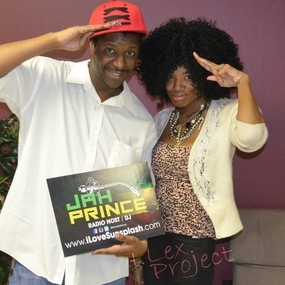 Jah Prince spins Caribbean, African and American music every 3rd Friday at the Vibes Night Club in Decatur, GA. He also is the DJ for Art on the Wall, every other Thursday in downtown Atlanta, and this is “not your average art show”. 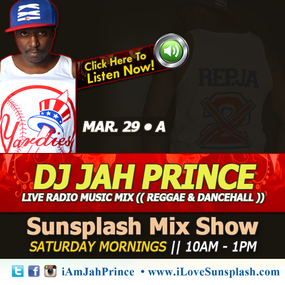 Jah Prince also spins live on-air every 3rd Friday during the 2pm – 4pm slot of the Caribbean Runnings Show heard on 89.3fm. This programming is heard all over the streets of Atlanta via 100,000 watts of community funded power. WRFG (Radio Free Georgia) is your station for progressive information and the stream can be heard online at www.wrfg.org. Listen weekly on www.DaFlavaRadio.com for the ‘Sunsplash Mix Show’ Saturday Mornings from 10:00am to 1:00pm (Eastern). This show is heard on Movements Radio and in the streets of Gambia on Vibes FM 106.1 and on Radio 971 in Dubai (UAE). On this weeks syndicated radio program we get a double treat from A Jew and A Black Guy, a comic duo who update us on their Cotton Pickin’ Comedy tour, local events and live calls with their mothers aka they mommaz! A Jew and a Black Guy is the comic duo of HTRosen and Jordan Stylez. Started in Fall of 2010 this duo has played clubs, bars, and theaters throughout North America and continues to grow its fan base and realm of comedy. 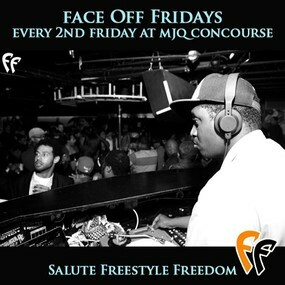 Jah Prince spins Caribbean, African and American music every 3rd Friday at the Vibes Night Club in Decatur, GA. He also is the DJ for Art on the Wall, every other Thursday and this is “not your average art show” in downtown Atlanta. Listen weekly on www.DaFlavaRadio.com for the ‘Sunsplash Mix Show’ Saturday Mornings from 10:00am to 1:00pm (Eastern). This show is also heard on Movements Radio and in the streets of Gambia on Vibes FM 106.1 & Radio 971 in Dubai (UAE). On this weeks syndicated radio program we get a treat from Amadi Jae, a creative talent who vibes with other artist and this process has allowed her to produce ‘Dreams’. Originally from Connecticut now bubbling in Atlanta, we noticed her during an intimate performance at Art On The Wall (not your average art show). We get some in-studio guests during the interview and even some RAW live vocals.